Hi, Friends? Are u searching for a person’s phone number? I already wrote some tips for free reverse lookup which find the name or owner of a given mobile number. I think finding a cell phone number is more easy than name or address look up of a number. Actually the reverse lookup is very difficult using a telephone directory or phone book, but the telephone directory is the best way to phone number lookup. But nowadays the printed telephone directory is rare.. So let us see some other methods..
For finding owner of a mobile number truecaller is the famous website. Like this there are some site which allows finding phone number according to given person's name. www.411.com is one the them, which allows searching phone number by typing person’s first name and last name with city, state or zip code. There are many website similar to 411. Those online directories show hundreds of similar name according to given person’s name. So it is difficult to find correct person from the list. At this technology world, this is the most used method to find a person’s phone number. 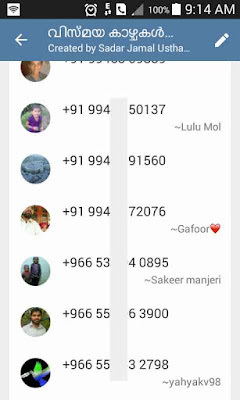 There are many mobile number based messengers like WhatsApp, Instagram, SOMA, etc which contains many contact groups. If you want to find a person’s mobile number, there may be many groups with both you. His/her name or photo helps to find a true person and the phone number. Among worldwide internet users, 99% are registered on one of social media website such as Facebook, Twitter, Google Plus, LinkedIn etc. Almost social media sites request phone number while registration. 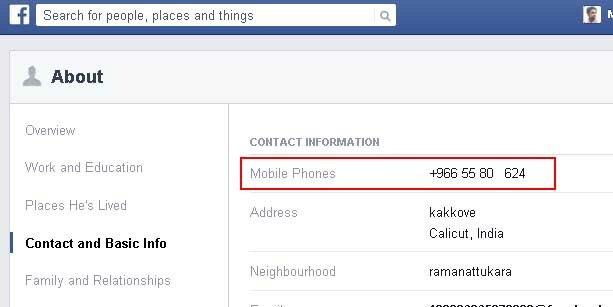 After registration other peoples who may your friend/following can see your details at your ‘About’ page which shows phone number also. But almost social media allows to hide such private information from others. If those details are not hidden, then we can find the number. If you want a person’s number, you may know the contact number of his boss, family, etc then just call them and ask his number. If he is working at any office or company, their office or department number may be available on internet. Just call and ask their personal number. If you have close contact with mobile number provider’s officers or workers, then they may find a phone number using a name. Contact them.